In this 'labour of love' show, audiences join Joanna on a musical journey through the myriad of ideas, textures, themes, voices and emotions of Mitchell's canon. In the 'me' part of Joni & Me, Joanna traces Joni's influences in some of her own songs, describes how she introduced multi-Grammy winner Sam Smith to Joni's songs, and how it felt to watch her now-superstar student emerging as a singer/songwriter. 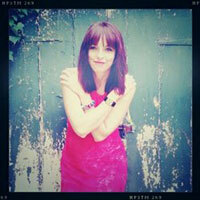 Joanna will be joined by musicians Lewis Andrews and Chris Allard.